As my time with those denizens of the destroyed planet of Krypton continue with my exploration of the fantastic Sci-fi Chronicles book, I leave Kal-El for a film (apparently he’s travelling to a distant galaxy according to a radio announcer), and join his cousin, the lovely Kara (Helen Slater). Let’s be clear, the Salkinds screwed this one up as badly as they screwed up the Superman series, using a poor script, and cheap effects replace the spectacle that made their production of the first film so amazing in the hopes of making a quick buck, and perhaps firing up another franchise. But if you do watch, the preferred version is the director’s cut, which adds 24 minutes to the original domestic cut. This serves to fill out some of the storylines and characters, but doesn’t necessarily make the film so much better. 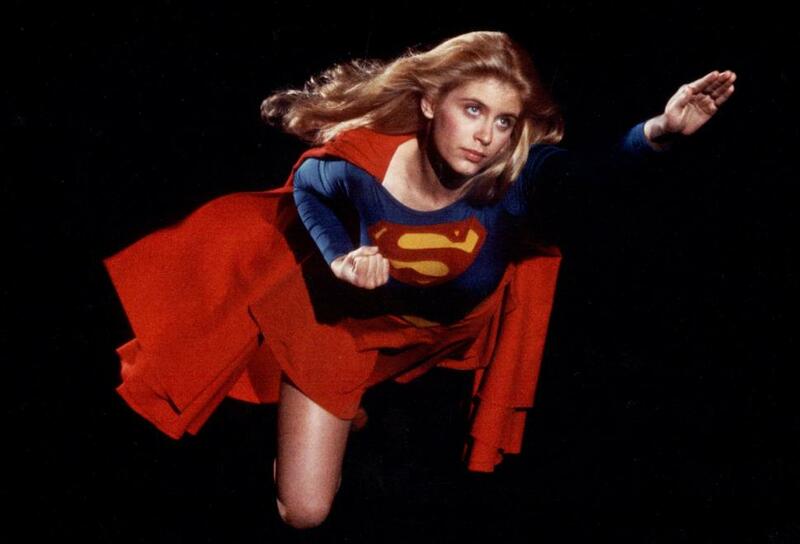 It did, however, give birth to my huge crush on Helen Slater as the titular Supergirl (love the costume… sigh). Much like the first Superman film, Szwarc surrounds his young actress with top-drawer actors, who despite their chops, can’t save the film, but can certainly chew on the scenery. Faye Dunaway stars as Kara’s nemesis, Selena the witch, Peter O’Toole is Zaltar an artist and genius living in Argo City (a remnant of Krypton tucked into inner space), and Mia Farrow stars as Kara’s mother, Alura. 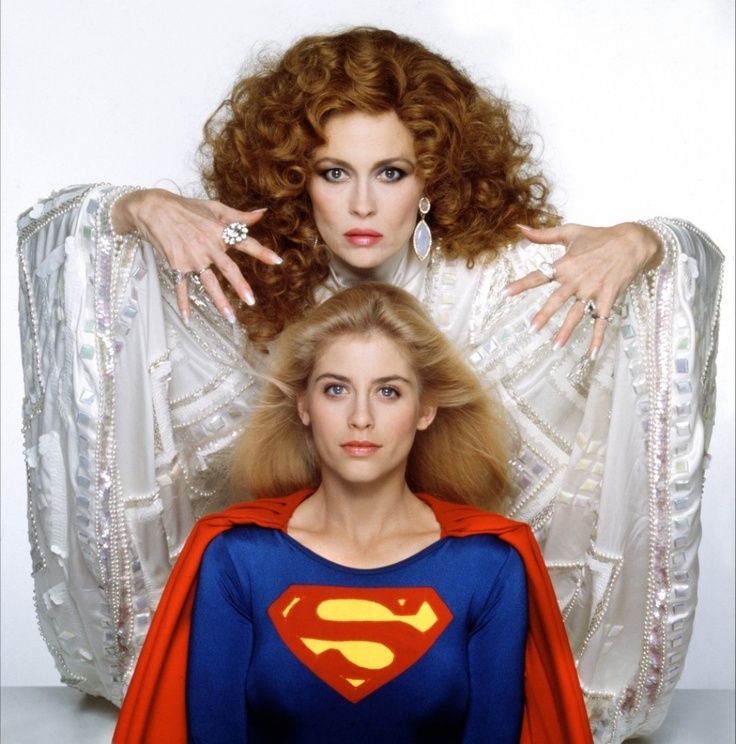 The one thing this film does have, alongside Helen Slater (did I mention the costume?) is a gorgeous score by Jerry Goldmsith. I find myself humming this one a lot, not quite as much as Williams’ Superman theme, but they do tend to segue into one another on a regular basis. In Argo City, Kara (who is suggested may not be the smartest of all its residents, but is at least very earnest and honest) is aware of her cousin’s journey to earth, so somehow, that news got out… She pals around with Zaltar, who has temporarily helped himself to one of the city’s power sources, the omegahedron to help in his creations. When an accident occurs, and the omegahedron is sucked from inner space to the outside world, specifically Earth, Kara assumes responsibility for it, and goes after it (somehow getting her costume (I mentioned that right?) in transit). As Kara learns her powers, first demonstrated in a first flight sequence in the woods, which, done with wire work on location, is one of my favorite moments in the film, the omegahedron ends up in Selena’s hands, who uses it to augment her own blossoming powers, with the intention of ruling the world. But when Kara, posing as Midvale student Linda Lee, gets in the way of a love potion Selena uses on Ethan (Hart Bochner), the film literally becomes a fight over the mostly vacuous landscape artist. It’s interesting to see magic brought into this film, though it could have been better, as most DC fans know that outside of Kryptonite, magic tends to be the only thing that can foil Superman’s or Supergirl’s powers. I just wish it had been executed a little better. There are things I do like, Marc McClure showing up as Jimmy Olsen, the costume, I love that Selena lives in a fun house in a deserted theme park (very Scooby-Doo), the wirework, Helen Slater, but it’s not really enough to save it.